You might be using a lot of online accounts on your Android device. All the services or apps which you use on your Android smartphone or tablets need username and password. It would be nearly impossible to remember all the passwords by writing them in a notebook (and it’s risky too). But there is no need to worry because countless of free password manager apps for android device is available on the web which will help you in storing the passwords of all your accounts and applications. If you will search for “android password manager” on the internet then you will receive lots of interesting search results related to password manager apps. But it might be very confusing for you to select the best and secure password manager application for your android device from the bunch of android password manager apps. 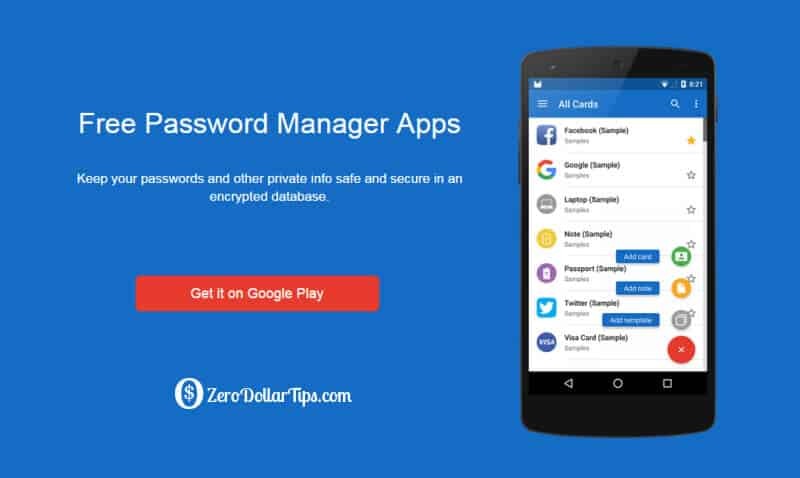 This is the main reason, today we are going to share a complete list of top 5 best free password manager apps for android smartphone and tablets. We hope you will find them useful for you. If you really care about your online privacy and don’t want to lose your important account details (username, password, security number etc.) then obviously you must use a powerful and secure password manager app for your android devices. Below listed android password manager apps are absolutely free to use and don’t require any complex settings in order to get started. The first Android password manager app which makes to our list is 1Password – password manager. The app is available from quite a long time and has recently got new changes. All the details stored in 1Password will remain safe. You can keep your login information, payment info and passwords safe and sound with 1Password. The app comes with AES-254 bit encryption which makes 1Password one of the best password manager apps for android devices. The app has its own browser and you can use the browser to open the websites whose login details you have stored. The login details will automatically enter if you are using the built-in browser of 1Password. 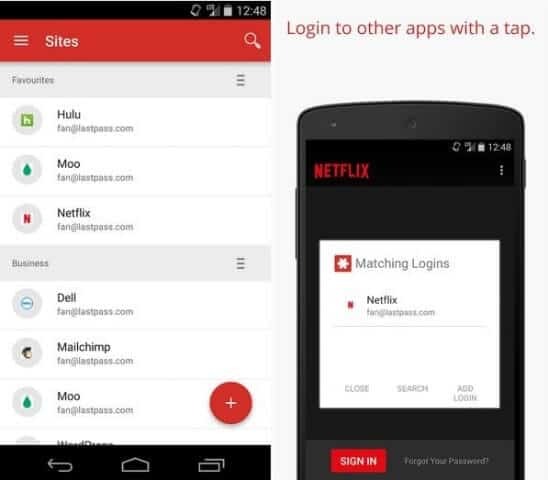 LastPass is a free password manager app. You can use LastPass not only for keeping your login detail, passwords and credit card information safe, but you can use this Android app if you want to keep your photos and videos safe too. If you are not able to generate a password, you can use the password generator which comes with LastPass. You get the same auto-fill feature of the browser in LastPass password manager. If you are using Samsung Galaxy S5, you can use the fingerprint sensor to get high security of all the accounts you have stored. Making third to our list is Dashlane, a popular password manager app which you can use on both Android smartphones and tablets. 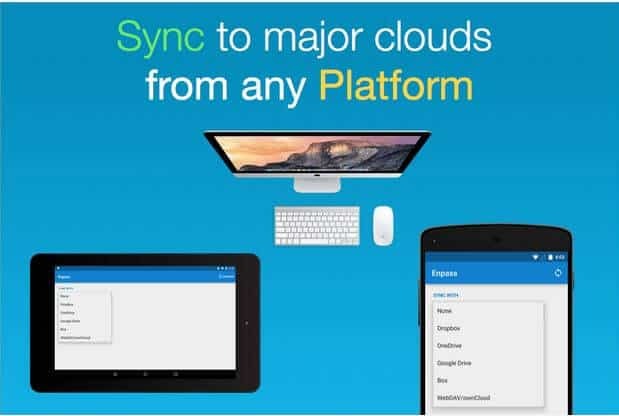 This is a cross-platform app which you can access on different devices. If you are using the app on your Android and iOS device, you can sync the details and whatever you will sync in your Android account will be updated in your iOS account. You can use Dashlane to store sensitive information too which will include credit card information, addresses, ID proofs and other much more. All the information will remain safe with Dashlane thanks to the AES-256 bit encryption. Enpass Password Manager is one of the best password managers for Android. You will get all the standard features which you get in password management apps with Enpass Password Manager, but the best part about this Android app is the interface. The app has a simple user interface which makes it extremely easy for one to use this Android application for storing passwords. Some of the things which you can store on Enpass Password Manager are credit card information, login details, and even your licenses. All the passwords which you store in Enpass Password Manager will be hidden from the naked eye and one can only view them after entering the master password. You can sync all the data which is present in your Enpass password manager account with OneDrive, Dropbox, and even Google Drive. SafeInCloud is a secure password manager which can be used to store all the personal information. All the details which you will store in SafeinCloud Password manager will be uploaded on online cloud. This means you can access the login details remotely too. All the passwords stored in SafeInCloud Password Manager are secured with the high level of encryption which makes it difficult for hackers to crack it. You can not only use SafeInCloud Password manager on Android devices but also on Mac, iOS and Windows. It is very important that you keep your passwords safe at one place with password manager apps. With these top best free password manager app for android, you will be able to keep all your passwords safe and protected. Let us know using the comments section below – which password manager app are you using on your Android device for keeping your important details safe?